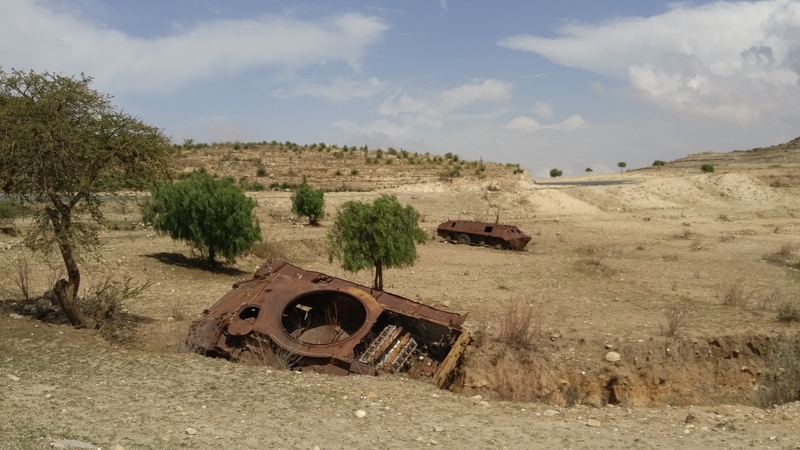 While nature often reclaims even the most ravaged realms of our planet fairly quickly, the remains of the Eritrean War for Independence from Ethiopia are, nevertheless, still strongly evident across the landscapes of Eritrea. This is perhaps not surprising, however, for a war in which well over 200,000 civilians and combatants were killed or injured. Trenches and blast damage can still be seen, of course, but what is the most evident leftover from the vicious thirty-year conflict are destroyed and abandoned military vehicles strewn across the countryside. 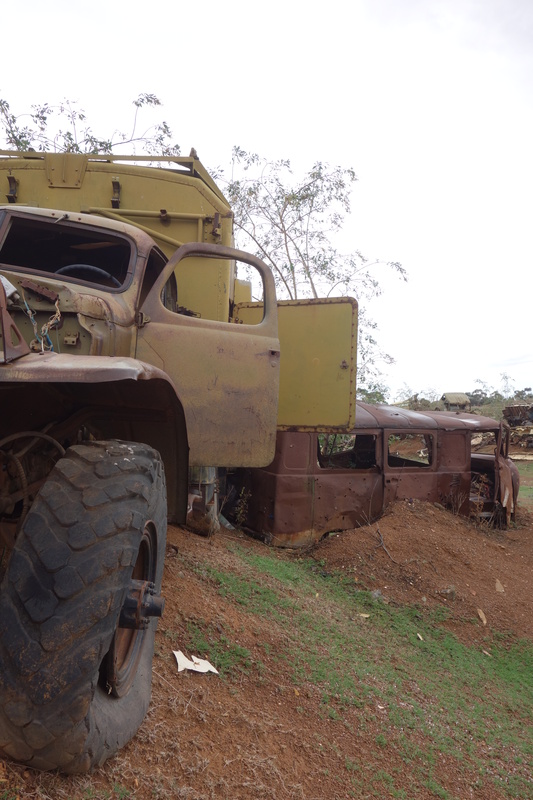 The abandonment of the vehicles is entirely understandable as, in the heat of combat, troops cannot be bothered with recovering a vehicle that has been disabled or destroyed by military action. And so, they simply strip what they can from it and move on. 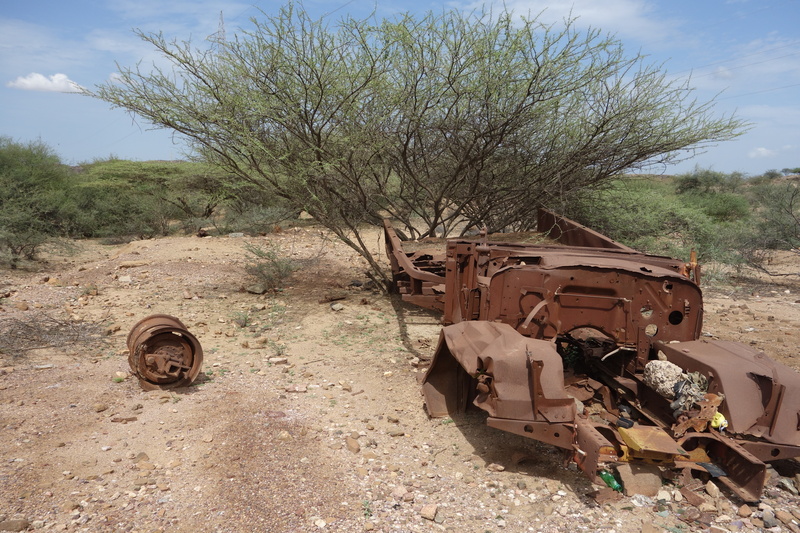 However, what is different in Eritrea is that after the war was over, only a small portion of these vehicles were moved to scrapyards and most remain where they were initially abandoned. Thus, we are presented with something of a living museum by such scenes – one which requires little imagination to interpret. We can tell where engagements took place and even make educated guesses, based upon the number of vehicles and their circumstances, as to how each battle unfolded. 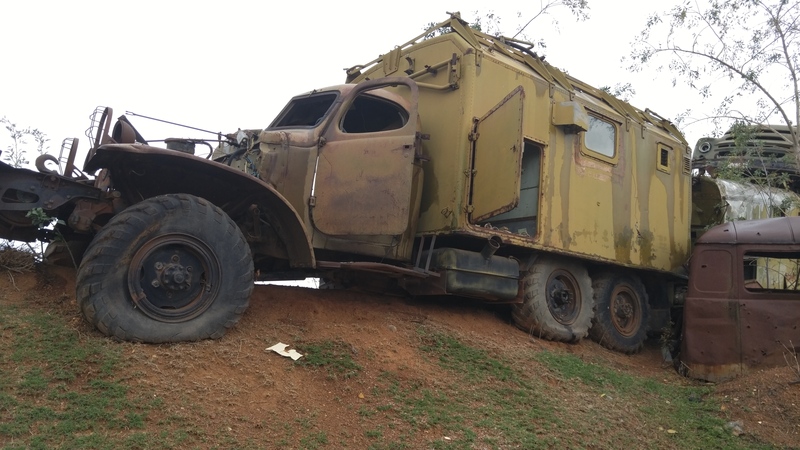 Tags: Abandoned Armored Personnel Carriers, Abandoned Military Vehicles In Eritrea, Abandoned Trucks, Eleonora Giuliani, Eritrea, Eritrean Countryside, Eritrean Landscapes, Eritrean War for Independence, Justin Ames. Bookmark the permalink. Amazing. I was with the ASA stationed in Asmara in the early 60’s, also visited Keren. So sad to see these photos. I have photos from Massawa & Keren – early 60’s. Trying to figure out how to send them to you. I’d love to see those… Too many to email? WeTransfer? I’ll get the other stuff on Keren, Massawa, Asmara, et al up as soon as I can. I’ll be curious to know what you think of it today. Of all of them, Massawa was the most heavily damaged in the war. 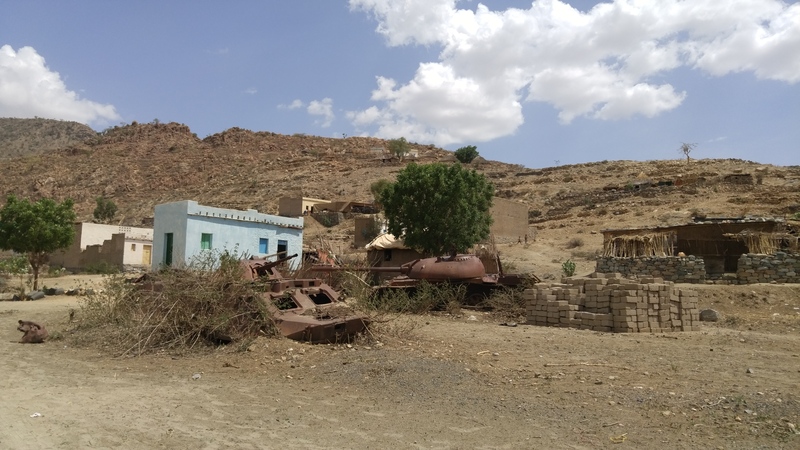 Eritrea has had a long history of warfare beginning with its war of Independence from Ethiopia (September 1961 to May 1991) and then the shorter but very intense Eritrean – Ethiopian War from May 1998 to May 2000. Politically, the People’s Front for Democracy and Justice (PFDJ) is the ruling party in Eritrea. Other political groups are not allowed to organize, although the unimplemented Constitution of 1997 provides for the existence of multi-party politics. The National Assembly has 150 seats, of which 75 are occupied by the PFDJ. National elections have been periodically scheduled and cancelled; none have ever been held in the country. The president, Isaias Afwerki, has been in office since independence in 1993. Militarily, the Eritrean Defence Forces are now the official armed forces of the State of Eritrea. Eritrea’s military is one of the largest in Africa alongside those of Egypt, Algeria, and Morocco. Compulsory military service was instituted in 1995. Officially, conscripts, male and female, must serve for 18 months, which includes 6 months of military training and 12 months doing “national reconstruction”. Thus around 5% of Eritreans live in barracks in the desert doing projects such as road building as part of their service. After regular service, reservists with skills, such as teachers, may be forced to work as professionals anywhere. National service enlistment times may be extended during times of “national crisis”; since 1998, everyone under the age of 50 is enlisted in national service for an indefinite period until released, which may depend on the arbitrary decision of a commander. In a study of 200 escaped conscripts, the average service was 6.5 years, and some had served more than 12 years.